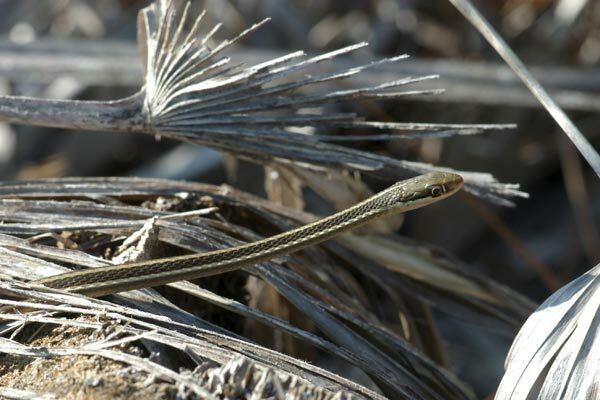 This species was formerly spelled Thamnophis sauritus, but that was a terrible, terrible mistake. I was walking along a dike with Terry Farrell, Melissa Pilgrim, and a few Stetson University students looking for more fun herps to go along with the pygmy rattlesnakes we had seen earlier. Melissa spotted this speedster heading off through the water, and after a few minutes of splashing and chasing, she and Terry managed to corral it. I noticed this ribbonsnake posed perfectly still just off the trail we were walking down. 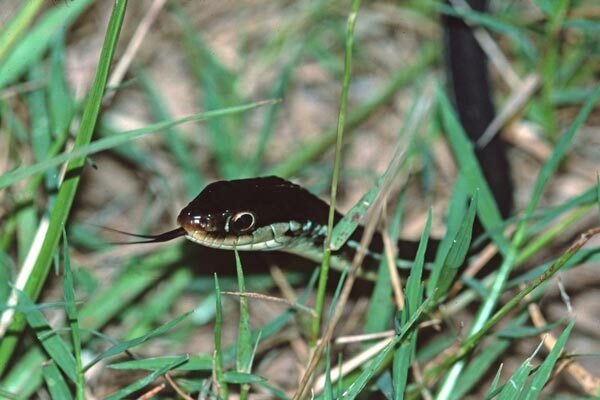 The small white bar just in front of the eye is a characteristic of ribbonsnakes that distinguishes them from their close relatives the gartersnakes. 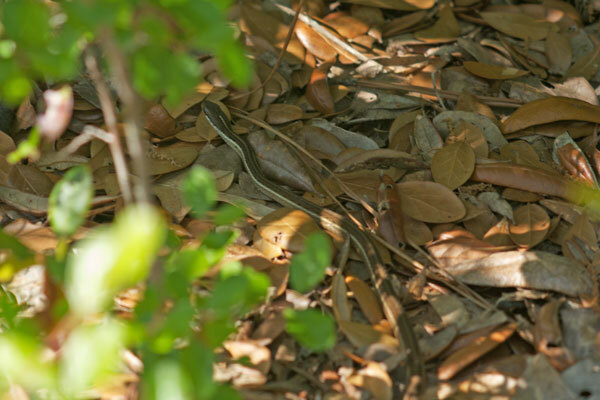 Corkscrew Swamp is just crawling with snakes (woo hoo!). Of the three ribbonsnakes we saw, this one was posed most nicely. The other two were crawling around in the swamp, too far from the boardwalk to get a decent picture. Ochlockonee River State Park is very close to the range boundaries between three subspecies of T. saurita : T. s. sackenii, T. s. saurita, and T. s. nitae. 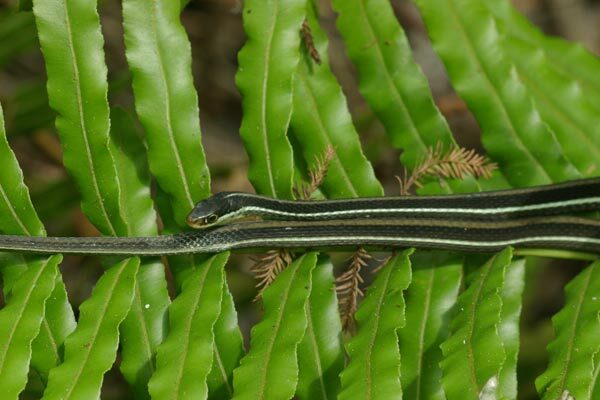 This briefly-glimpsed individual is definitely not T. s. nitae, the Blue-striped Ribbonsnake, for obvious reasons. It could be either of the other two, or could be an intergrade with characteristics of both. The most concrete distinction between the two that I've been able to find is the number of scales on the upper lip (seven in T. s. saurita, eight in T. s. sackenii). Too bad I only got this one lousy photo in which the supralabial scales are not countable.